The Oxford Board of Aldermen approved a resolution Tuesday evening to rename two roads in honor of the late Sheriff F.D. “Buddy” East. Sisk Avenue extension that is currently under construction that will eventually connect Sisk Avenue to Highway 6 will be named the North F.D. “Buddy” East Parkway. County Road 406, located on the south side of Highway 6, will be named South F.D. “Buddy” East Parkway. 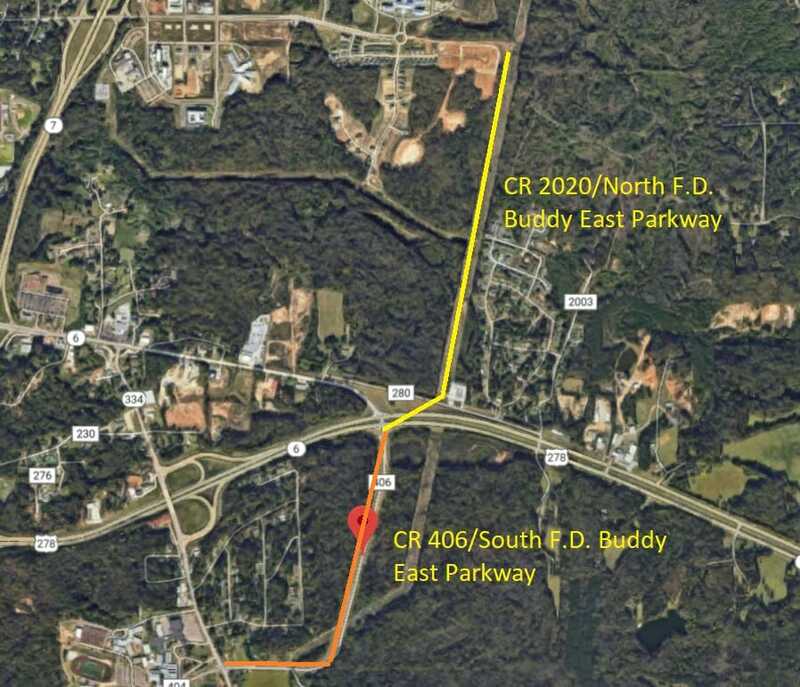 The two roads will eventually meet at Highway 6 and form an intersection, allowing traffic in the Oxford Commons area an easier path to get the east side of Oxford. “The changing the names … will call attention to the legacy, dedication, memory and years of service of a great man and great member of the Lafayette-Oxford-University Community,” the resolution states. The late Sheriff F.D. Buddy East died in September 2018. He was 76 years old. East was the longest serving county sheriff in the state and the second longest serving sheriff in the country until his death in September 2018. East began his law enforcement career as a Lafayette County Deputy Sheriff in 1964 and was hired by the Oxford Police Department soon after where he served as assistant chief of police until 1972 when he resigned to run for Sheriff. Several of East’s family members attended the meeting Tuesday and gathered around the podium before the Board as Mayor Robyn Tannehill read the resolution. “If he was here, it would probably be him,” joked East’s son, OPD Chief Joey East, who is on temporary leave while campaigning to run for Lafayette County Sheriff.